J’ne Day-Lucore competed in college track and cross-country in Iowa before moving to Colorado in 1983 to get her MS in mathematics. She retired in 2017 after a 33-year career working in the aerospace industry. She enjoys coaching and spending all day running, swimming, cycling and practicing yoga with her athletes and friends. Her amazing husband of nearly 30-years was a stay-at-home dad for their three daughters which allowed her to live the dream of being a mom, executive and athlete while he took care of the cooking, cleaning, laundry and household chores. 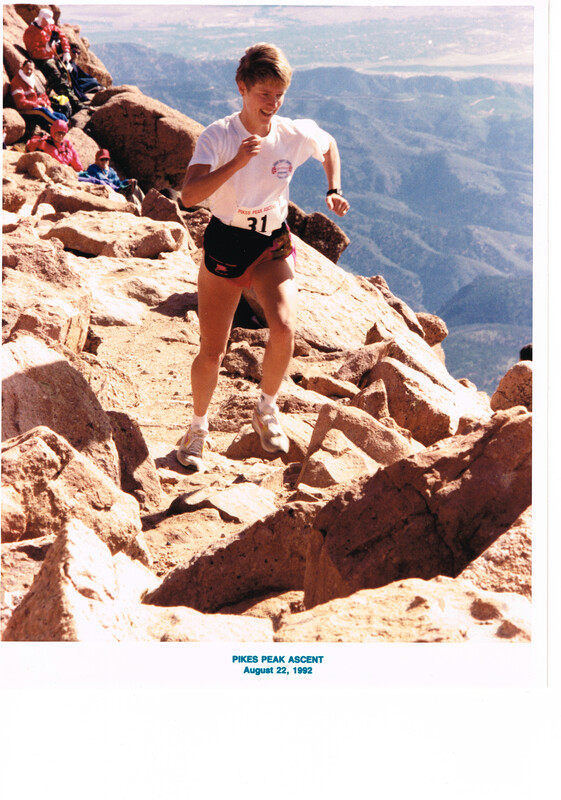 J’ne was introduced to the Colorado racing community in 1985 when she won a couple of local races and was invited to join the Reebok Racing Team. These teammates became her best friends and training partners for the next 34-years. Her passion has always been running uphill where she won and held course records in the Pikes Peak Ascent (four-time winner), Mount Evans Hill Climb (three-time winner) and Mount Washington Road Race (three-time winner and Hall of Fame member). She completed her 28th Pikes Peak Ascent with an age group win in 2018 and hopes to continue racing the ascent for another 28 years. Her most difficult and greatest accomplishment was the ascent race in 2016 when she helped guide the first blind athlete, Luanne Burke to the finish line. J’ne added cycling and swimming to her running routine to stay healthy and transitioned into racing primarily triathlon starting in 2006. She races in many local Colorado triathlons each year and has had three age group podium finishes at full Ironman races since turning 50. She donated a kidney in September 2018 and resumed triathlon training six weeks later. She’s currently training for Ironman 70.3 in Santa Rosa in July and is planning another return for her 29th Pikes Peak Ascent in August. J’ne volunteers as a coach for Girls on the Run (GOTR) and is an active board member with the Rocky Mountain Triathlon Club (RMTC). She coordinates and leads weekly group track workouts, tempo runs, trail and snowshoe runs as well as being a volunteer ride and run leader for RMTC. She successfully has met her goal every season to have at least one training partner for every workout. The Colorado running community has always been a central part of her life, starting with the 1985 Reebok Racing Team.